I think I finally understand what people love about competitive gaming. I’ve finally played a PvP game with enough dedication to get skilled, to relish victory, to learn from defeat and to make a comeback like the one here. 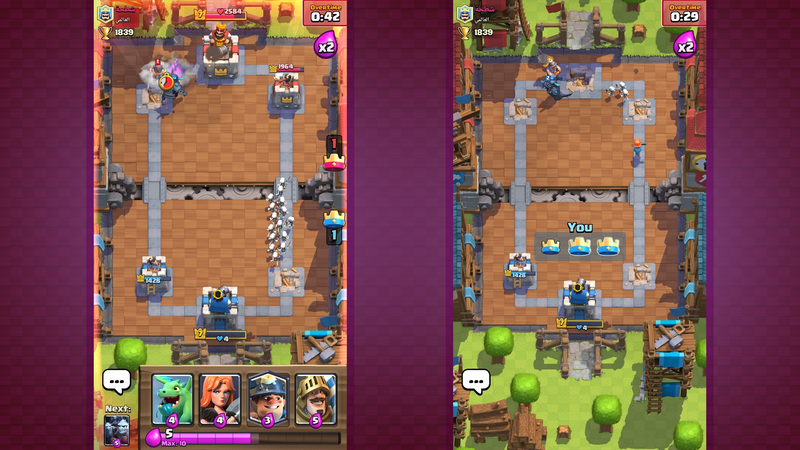 The game I’m playing is Clash Royale, the extremely popular competitive multiplayer game that involves players trying to destroy each other’s castle in brief three- or four-minute matches. You build small eight-card decks, then play those cards to deploy minions into the field. The minions defend your base or attack your rival’s. In this game, my opponent knocked my castle from a few thousand hit points to just four. I’d also already lost one of my protective forts. The other was en route to obliteration. Surely I was going to lose! See? I’m the blue player. But I did not panic. I’d played enough of this game to recognize its ebbs and flows, and to know that my rival’s failure to land the knockout blow left them open to my counter-attack. My P.E.K.K.A. knight marched up the left side of map. My skeleton army pressed through on the right. I snuck my miner into my enemy’s backfield and marched forth a Valkyrie to guard against any incoming enemies. It felt great. So, this is why people play PvP, I thought. Single-player games will always be my main gaming love, but I’ve wanted to someday stop dabbling. I wanted more than an evening of Call of Duty or a one-month spell of the dearly departed Dead Star. I wanted to find the right game and the right moment to actually pull myself away from the piles of single-player games I want to play and dedicate myself long-term to a PvP game. I only did this, at long last, because I had kids in late December and suddenly couldn’t do much more than play thumb-driven video games on my phone. I took a gamble that Clash Royale would be good for me. I’d heard it was great. I tried some others, too. Matches in Vainglory took too long. Same problem with Hearthstone, which also has an intimidating amount of cards to learn. I stick with Clash Royale and its relative lack of content, its abundance of players (matchmaking in one second, maybe two!) and its quickness of matches. And Clash Royale it continues to be. Finally... finally...I get it. Here’s the deck I’m playing now as I try to climb from arena six to seven. Suggestions welcome!